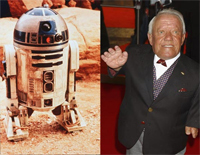 Ever wonder what happened to R2-D2? Did Chewy ever get another job? Well, in celebration of 25-Years of the Star Wars Trilogy, ABC has put together a list of Star Wars Characters: Where are They Now? No more late nights worrying if C3PO made it or not. Phew.